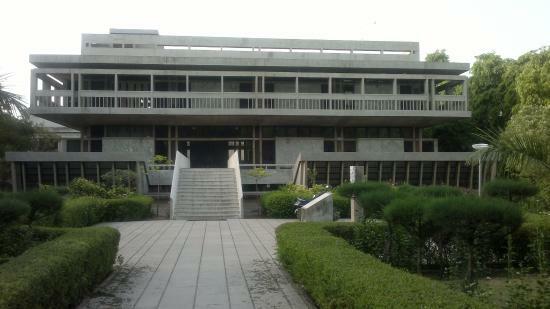 Ahmedabad is the home of many landmark museums in Gujarat. The most notable among them is NC Mehta Gallery. It is the ideal place for the tourists to visit for having a nice glimpse of wide varieties of periodic miniature paintings which were collected from different parts of the country. The sole aim of this gallery is to promote the culture of art and painting all over the India. Tourists will definitely admire these artistic collections of art while strolling inside this gallery. The Gallery is divided into various sections but the most prominent among them is Miniatures and Sculptures. It contains various miniatures and sculptures of pre-Mughal era that have been obtained from different parts of Rajasthan and Gujarat. Religious Representations is another well-known section of the gallery that comprises paintings which depict various religion and mythological scenes. The gallery has turned out to be the most well-known spot to visit in India because of the exhibition of renowned Pahari miniatures along with that of the Chaurpanchashika series of Vilhana. The Gallery was created in memory of NC Mehta who had in depth understanding and love for miniature paintings. He had also written many books based on Sanskrit and Hindi literatures apart from working in the area of miniature paintings of India. Previously the exhibition was used to be held in Sanskar Kendra from the period of 1960 to 1991. But later it was shifted to the complex of L D Institute of Indology. The design of this new museum wing was conceptualized by the renowned architect B V Doshi and the inauguration of this new building took place in the year of 1993. These miniature paintings of the Gallery mainly comprises of ragmala paintings, depiction of various social scenes and royal portraits along with secular and sacred works, epics and poetic compositions. The most notable features of these paintings are that they are crafted on handmade paper with the use of mineral colors. This Gallery also comprises of paintings belonging to Sultanate school and that of Western India. Visitors also have the chance of viewing the folios of medieval and ancient periods of India. 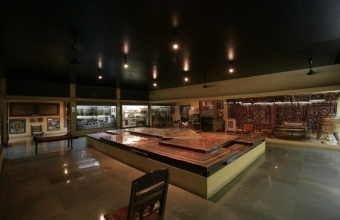 The gallery was situated within the complex of Lalbhai Dalpatbhai Institute of Indology in Ahmedabad. From nearby airport of Mumbai, it will normally take 519 km to reach the place via NH8. The journey will be of approximately of 105 km from Western Railway Line via GSH41.